Last week I took all three kids with me to my favorite thrift store and we all left with a smile on our faces. Plus I took them to Rita's for custard after and that's always a win in their book. 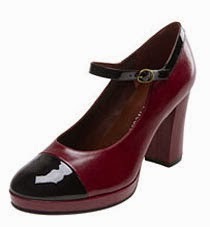 I found these adorable Marc by Marc Jacobs cap toe mary janes for $10 - and they were 50% off! They need a little TLC but again, they were 5 bucks :) I googled them and they are from 2007 and they retailed for $450. The chunky heel is very on trend and I love how Chanel-y they feel. Plus I'm a sucker for jewel tones. I always check the jewelry area and I found this cute bracelet for $3. It's hard to find pieces to fit my tiny wrists so grab anything that fits. Cute, right? I found a few designer dresses but some were a little beaten up and I'm trying to edit and only take what I "need" or I can sell. 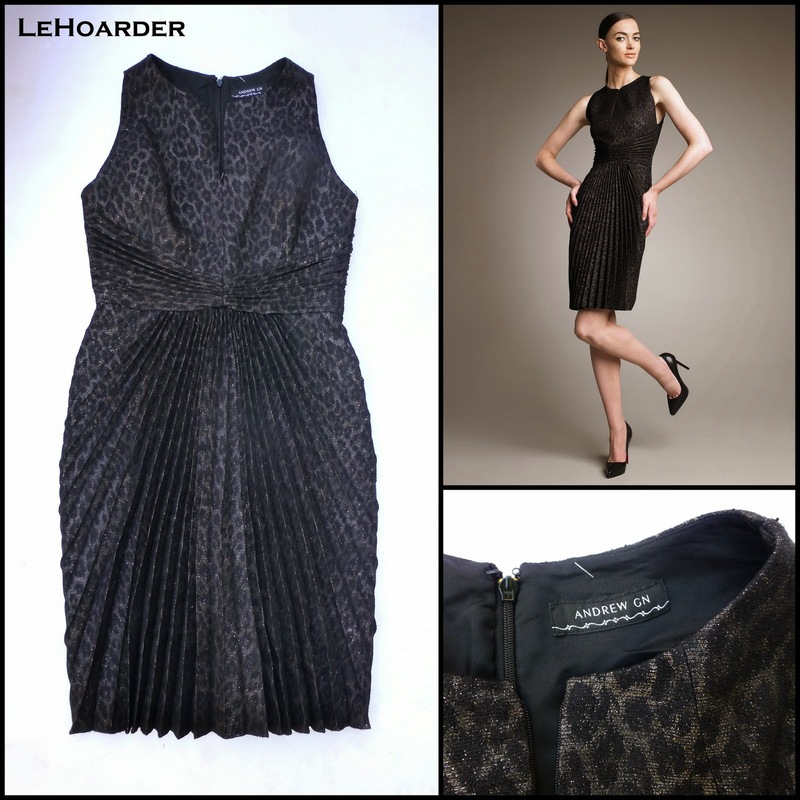 I found a gorgeous $2590 Andrew Gn pleated jacquard sheath dress for just $10! It's fitted in the back and in the front has this amazing pleated detail. When I was looking it up I also found my Marc Jacobs dress that I got a little while back at TJ Maxx for $89. According to the BG blog it retailed for a whopping $4950!!!! I plan on layering it with a black lace shirt as the back is completely open. Also picked up a couple of amazing vintage Claude Montana blazers for $10 and $15 each. This is my favorite - the fit is perfection. 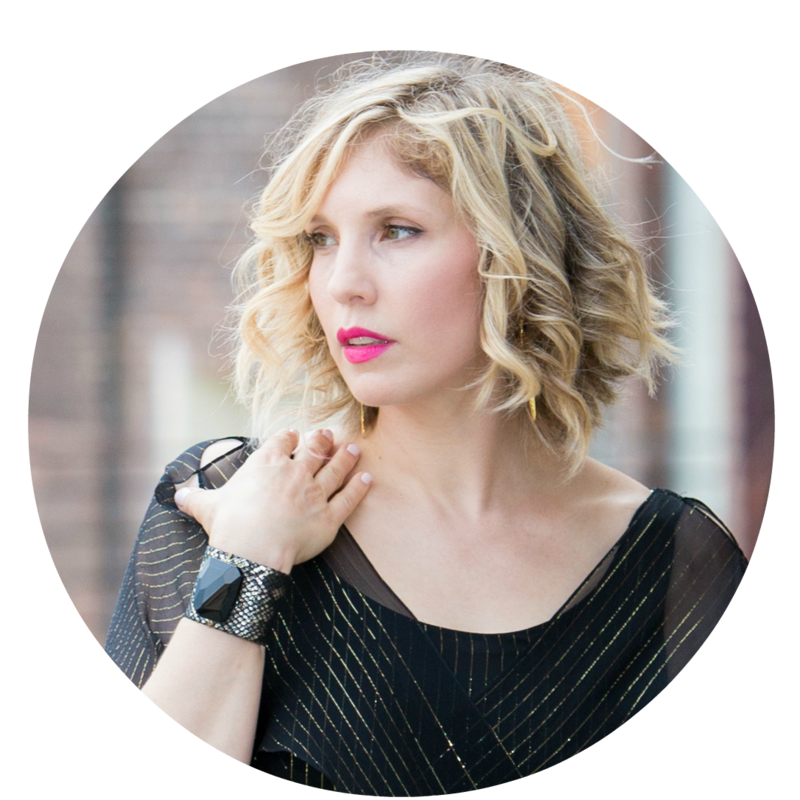 With the sculpted fit and crazy shoulder pads, I look like a 1940s pin-up girl in it. 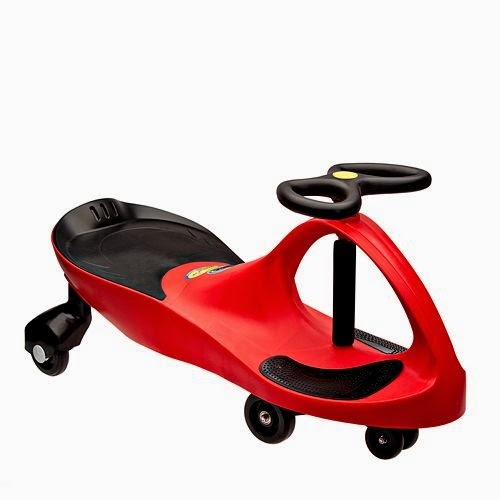 I spied this PlasmaCar for $8 and I grabbed it as we already have one that I thrifted for $6. These sell for over $50 a piece so I'm pretty happy...as are my kids that have been racing around the house all week LOL. And last but not least I found these Flowers by Zoe and Little Marc Jacobs pieces for my girls all for less than $4 each. And that's all folks! Hope you had a great weekend! What thrift store do you go to?, If you do not mind me asking. Your finds are always amazing and I am a college student on a strict budget!